Keeping a healthy body is essential to stay fit and avoid sickness, especially in the growing technological society. Proper exercise and a good balanced diet is not enough when it comes to our well-being. Nowadays, green smoothies are added to the diet to stay fit and feel good about our body inside and out. It is also a good alternative to sugary drinks like soda and artificial juice or a good meal substitute compared to the “pre-chewed” greens that you’re taking in to get as much of nutrients as possible. With green smoothies you get all the benefits without any digestive problems. 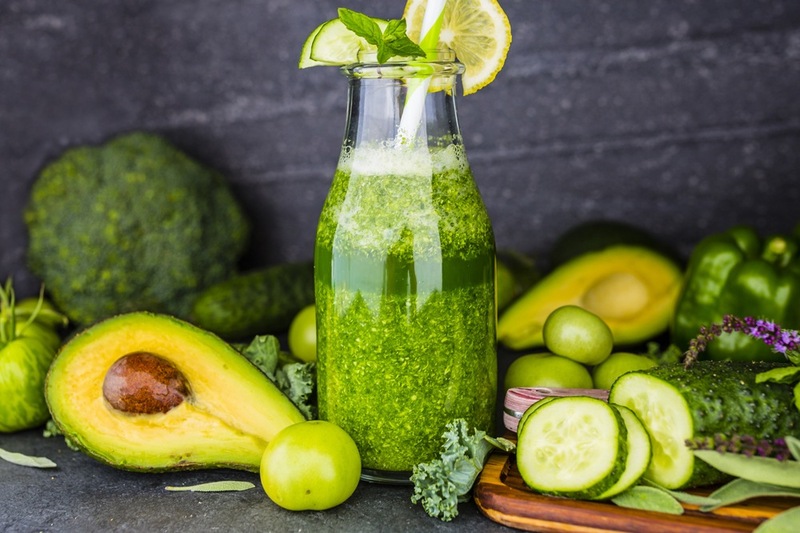 Contrary to the common belief that you have to have a big meal when you start the day, it is enough to get your daily dose of water dietary solution, taking your vitamins and other daily dosage of medicine, along with your green smoothie. If you are hungry for all the benefits that leafy green vegetables offer, make sure to include as many of them as you want in your mix. But the healthy smoothie needs more of the alkalizing greens which do not really affect how it will taste. Include some fruit and a few dietary supplements and you’re good to go. This will easily satisfy your hunger without the awful taste. Five Most Nutritious Green Smoothies: What to Blend? Pick out the neutral tasting and simple greens to put in your drink, like romaine and spinach. If you begin with these, not only are you sure to get the health benefits you wanted, but you might get carried away with blending. If you get the base that you desire, you can try adding other greens like lettuce, celery, kale, cucumber, fennel and herbs. Benefits to your body: This leafy vegetable is one of the most intense. Arugula is rich in antioxidants which fight out cancer causing cells and it is also loaded with chlorophyll and many vitamins. It gives your immune system support and allows your brain to function actively and remain strong. This vegetable also provides your body the calcium it needs to strengthen your bones and teeth. Since arugula is bitter and peppery in taste, adding those neutral tasting greens with some fruit may help or if you’re bold and don’t mind the taste, all benefits is worth it. A few other ingredients you can include if you’re up for the options are beets and citrus. Dried fruits like raisins, dates and cherries also go well with the bitterness and balances out the taste. Similar to kale, broccoli and cabbage, this leafy vegetable is a great alternative green for your regular smoothie. Bok Choy is also packed with lots of vitamins, calcium and folate which is good for people suffering from anemia. Bok Choy also improves the immune system and because of the calcium, it helps in strengthening bones. It also provides benefits to the circulatory system, especially to the most vital organ, the heart. Bok Choy is really one of the most nutritious green smoothies you can blend. Like arugula, Bok Choy has a somewhat bitter flavor as well. Compared to spinach, it is a bit on the stronger side and a little less bitter than kale. With this, you can add any fruit to adjust the taste like strawberries, citrus, papaya and pear. The spinach contains a lot of nutrients, particularly twenty different ones in a single leaf. This vegetable provides healthy glowing skin, fights cancerous cells, gives good eye sight, prevents high blood pressure, boosts your energy level and strengthens your immunity level. In addition, spinach has an anti-inflammatory function. Included in those twenty nutrients and minerals provided by this green are iron, potassium, vitamins A, B, B-12 and C, calcium, protein and niacin – all the more reason why spinach should always be included in your nutritious green smoothie. Spinach does not have a strong bitter taste, but more on the mild and neutral side (especially baby spinach). It is best blended with different kind of berries, pears, apples and other fruits that have a low sugar content. Another intense root vegetable is the beet. Utilizing their greens gives out a whole new level of nutrients. If you don’t like eating the beets leaf, blend them up since they are still edible. They are rich in a number of vitamins that makes your skin, blood and bones healthy. Beet greens boost eyesight and heart health and contain the necessary minerals, iron, magnesium, calcium, copper, and magnesium. This tastes a little like the spinach and is very soft and blendable. Any fruit is also complimentary to its taste. Just like the beet greens, carrot tops are also edible and packed with nutrients rich in chlorophyll and magnesium, which is significant to lower blood pressure levels and boost blood purity. Rich in calcium, potassium and vitamin K, carrot leaves help in strengthening both bones and muscles. Although carrot tops are bitter and on the sour side, you can also taste a bit of sweetness in them. They are coarse and grainy, but still blendable, and make a great green smoothie along with ginger to compliment to the taste. Smoothies containing fruits and vegetables help a lot, especially to the multiple systems in our body. However, nowadays these plants aren’t enough for us to depend on their nutrients and we first need to check where they are grown. If the soil is deficient, we can’t expect to have a good quality of fruits and vegetables. Also, organic fruits and vegetables make a huge difference from local ones. If we always choose organic, it takes a while for it to reach our homes because of the shipping and traveling. This could result into acquiring depleted products and have a potential of being poisonous or toxic to our health. Always keep in mind to be smart in picking out your greens that will produce the most nutritious green smoothie.